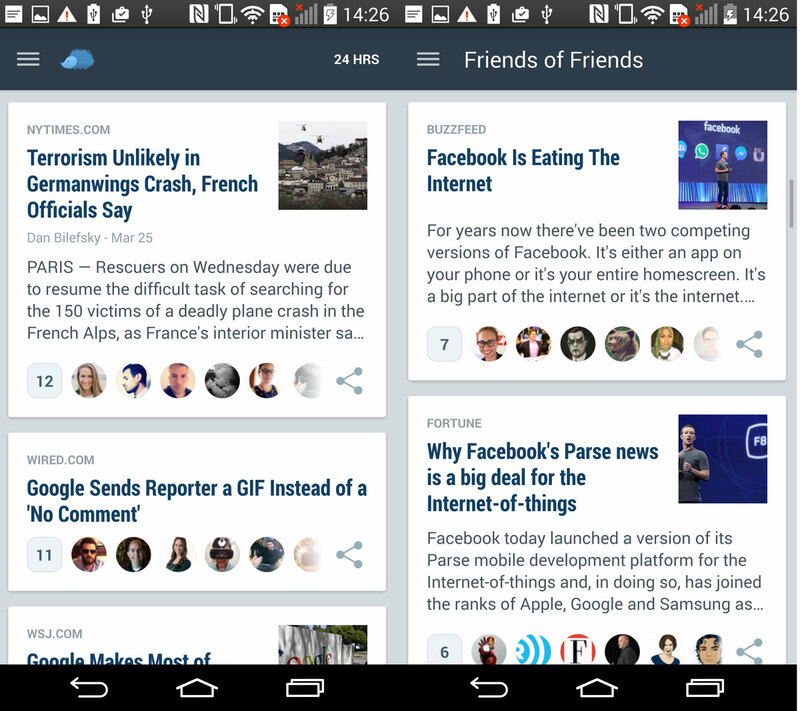 Nuzzel, the time saving news app that shows you what your friends are talking about, has today arrived on Android for the first time. If you’re not familiar with Nuzzel, it taps into your Twitter and Facebooks friends to show you the most-shared news from your friends. It’s still my absolute favorite way to keep up with the news, because it lets Twitter do the curation for me. The app is now available for Android users and features all the great functionality found in the iOS counterpart. You can get the top news based on what your friends are sharing, view what friends of friends are sharing as well as receiving alerts when something is widely linked to. Nuzzel worked with Google’s design teams to make sure that its app fits in with Android’s design language; it’s not just a crappy 1:1 port of the iOS app. If you’ve been looking for a better way to consume news on your Android device, Nuzzel is here to save the day.